It’s time guys! With the newest MJX drone hitting the market, it’s time to evaluate its real worth. Obviously, I am referring to the all-new MJX Bugs 3 Mini, a powerful mini brushless drone that’s going to sweep you off your feet with its simplistic design and majestic performance. But what sort of audience is Bugs 3 Mini targeting? Should you get this one even if you’ve already purchased their massively popular Bugs 2W? Well, honestly speaking here – we are talking about 2 completely different drones. While Bugs 2W is primarily meant to be an entry-level aerial photography device, Bugs 3 Mini is going at it in a completely different way. 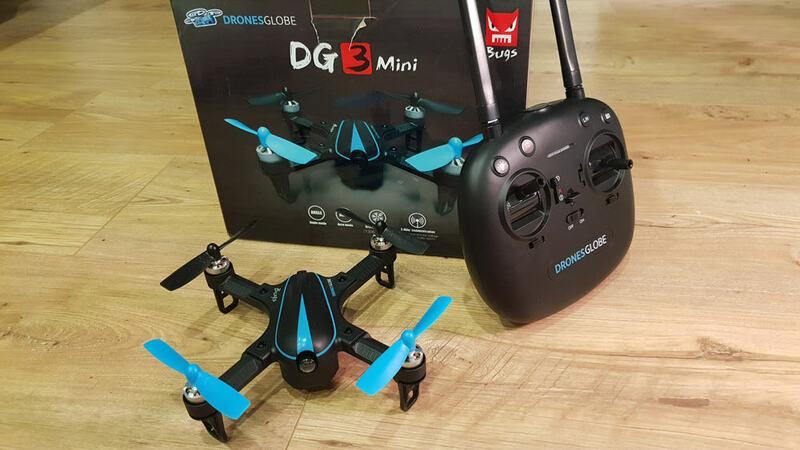 You see, this little bugger is a great starters’ racing drone thanks to powerful motors and great battery. Yes – MJX Bugs 3 Mini is a rather sporty little drone. 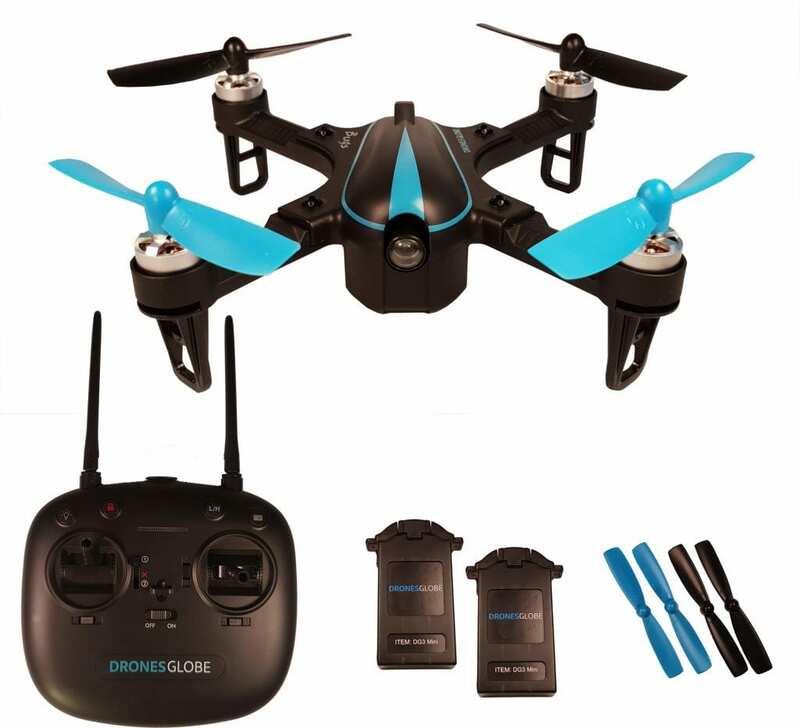 It comes equipped with potent 1306 2750Kv brushless motors which possess a lot of torque. Top speeds are high too. Luckily, Bugs 3 Mini retains a lot of controllability even at high speed and especially when in Acro Mode. This allows for some thrilling aerial maneuvers which are bound to be head-turners no matter where you fly this little champ. They are well ventilated and will not overheat with normal use… but you have to remember to take a short break between consecutive flights. More on that at number 3! Personally, the thing I like most about MJX Bugs 3 Mini is the fact it sports Acro Mode. As some of you might already know, I am a huge fan of mini racing quads so this little fella feels right at home to me. We are talking about a 175mm drone here with, as stated above, full support for Acro Mode. For those of you that don’t know what Acro Mode is, here’s the deal – Acro Mode doesn’t give you access to any stabilization features. It allows full control over a quadcopter which does require quite a lot of practice, but feels (and looks) impressive once mastered. With that being said, it might not be a good idea to jump into Acro Mode right away, especially becuase you won’t be able to turn it off in mid-flight. By looking at the price tag, I’m sure most of you wouldn’t come to a conclusion that you’re looking at a 20-minute flyer here. 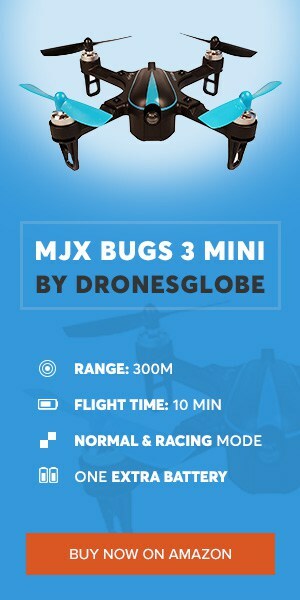 It’s true – MJX Bugs 3 Mini can fly for more than 20 minutes (close to 25 if you are not pushing it too hard) with 1 short pit stop. That’s because you are getting 2x 850mAh 2S 45C LiPo batteries inside the package, each containing around 10 to 12 minutes of flight time. Keep in mind that you should take a 5-minute break between the runs in order to let the motors cool down a bit… especially if you’re pushing them too hard in the first session. 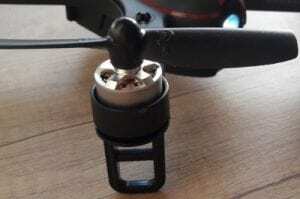 Since we are talking about a miniature brushless racing drone here, it is only logical to expect quite a bit of durability. Luckily, MJX Bugs 3 Mini does not fail to deliver. The frame is sturdy, doesn’t break that easily (trust me, I’ve already had quite a few crashes to write home about) and is still quite lightweight. More precisely, B3 Mini weighs in at slightly less than 200 grams, making it the ideal device to bring with you no matter where you’re going. 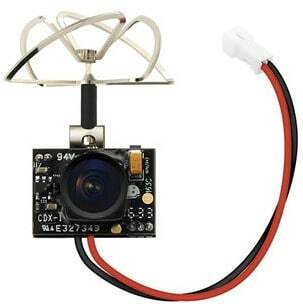 Last but not least, MJX Bugs 3 Mini has full support for 5.8Ghz FPV. It’s not labeled anywhere on their website (or at least I haven’t found it) but it’s really true! But what kind of support are we talking about here? Well, MJX Bugs 3 Mini doesn’t have a camera nor a video transmitter… but they can be easily mounted and connected thanks to a dedicated JST-ph connector located right in the front. Simply take out the LED light and install your AIO FPV system of choice. Take your favorite set of FPV goggles, put them on and experience fully-fledged FPV Acro flight with MJX Bugs 3 Mini! In the end, I guess there’s nothing much left to be said other than repeating that MJX Bugs 3 Mini is an outstanding entry-level mini brushless drone. Yes – some of you might have a problem with the fact it doesn’t come with a camera, but I for one think it’s for the best. How come? Well, as I’ve also stated above – installing an AIO FPV system (camera plus video transmitter) is fairly easy and will allow you to fly this little bugger in FPV. Combine that with Acro Mode and sooner or later you’ll be flying like the pros! So, is MJX Bugs 3 Mini worth the money? It most certainly is, especially considering this package gets you an extra battery inside that basically doubles your flight time.